If you're planning on flying over the holidays, now's the time book your tickets. 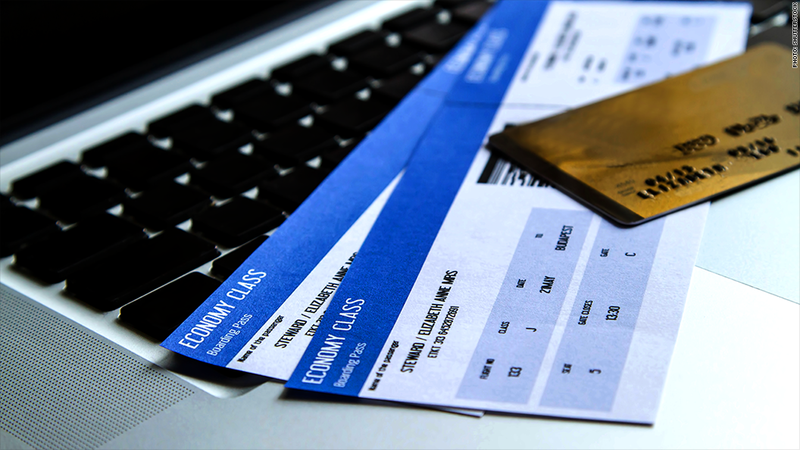 A new survey shows the lowest prices for domestic airfares are found eight weeks before the departure date, around 19% below the average fare of $496, according to the Airlines Reporting Corporation, a travel industry research group owned by the airlines. The report, which was based on ticket sales between January 2013 through July 2014, also found Sunday is the cheapest day to buy plane tickets. This Sunday marks nine weeks until Christmas week, so the clock is ticking. "It's about time we stop believing in the airfare voodoo that Tuesday is the best day to get good ticket prices," said George Hobica, president of Airfarewatchdog.com. The average domestic fare paid on a Sunday is $71 cheaper than on a Monday, the most expensive day, the report showed. Getting a deal on holiday travel is always hard, but maybe even more so this year, according to Keith Nowak from Travelocity. He said supply and demand is in full effect, giving airlines the pricing power. Passengers are flying more this year than in the recent past, but airlines aren't adding more seats, he said. "You've got passenger loads growing faster than seats being added. It's clear given the current load factors, holiday planes are going to be full." The most recent data from the Department of Transportation showed the number of domestic fliers in July was the highest since the end of the recession. U.S. airlines carried 385 million passengers, up 2.1% from 2013. Book early. Booking early doesn't always mean better prices, but you're more likely to get the flight and seat you want, especially given the expected high demand. It's all about value, said Hobica. "You can get a good deal on an ugly, ill-fitting cashmere sweater, or you can pay a little more and get what you want. Flying out at the crack of dawn, jammed in a middle seat is the ugly sweater." Be flexible with dates, airports. Put in multiple nearby airports and try different arrival and departure dates when searching for flights. "You want to open up as many fare options as possible to increase your chances of finding the best deal," said Nowak. And it's not just about the ticket price. "Smaller airports might have significantly lower parking prices. If you're gone for a week, that can be a lot of savings," he said. Be persistent. Travelers can hold seats for up to 24 hours without purchasing them with most airlines now, said Hobica, which can make a plane appear fuller than it is and discourage potential fliers. "People hold seats and then release them. Keep checking the flight, you never know when something might open up." Travel on the holiday. Flying on the actual holiday tends to bring lower prices. "If you fly late Christmas Eve, on Christmas Day or on January 1, those are always the cheapest days and times to fly," said Hobica. Consider Europe. If visiting grandma in the states isn't a requirement, travelers can find cheap affair to Europe right now, said Hobica. "And if you are in the mood to splurge, business class seats are 50-60% cheaper to Europe during the holidays."